At Comic-Con this past week, I sat down with the cast of Shadowhunters to discuss the fan favorite ships and what's in store for the rest of season. So read on, fans, to get some of the exclusive scoop from the actors' mouths below! We asked Harry Shum Jr. and Matthew Daddario why they think Malec is so relatable to fans. Shum said it was representation, but Daddario thought it went deeper than that. "There's one thing about both the characters -- they put walls up. I think there are a lot of people who are hiding from themselves and are defined in that way, by putting those walls up. I think a lot of people act out a little bit like Magnus. Magnus is hiding in plain sight by putting on peacock feathers and distracting from the other things that cause misery. A lot of us do that." Daddario continued, "And Alec is putting himself in this little bubble hiding from what he can't truly hide from, but he tries to as much as possible. I think people relate to that. Then when people find each other and bring those walls down, that's the dream. That's the ideal." Shum concluded, "Being your true authentic self with each other." Despite Luke being the linchpin of peace between the Downworlders and the Shadowhunters, Isaiah Mustafa promises "it all falls down like a house of cards. Luke realizes 'I can only do so much.'" Harry Shum Jr. and Matthew Daddario promise there will be a shift in relationships. And instead of giving out the advice, Luke will be getting some from a surprising source. Rosende says Climon is over and he is interested to see Simon explore who he is without Clary and “find people to connect with on a level that maybe Clary couldn't” like his budding romance with Maia. 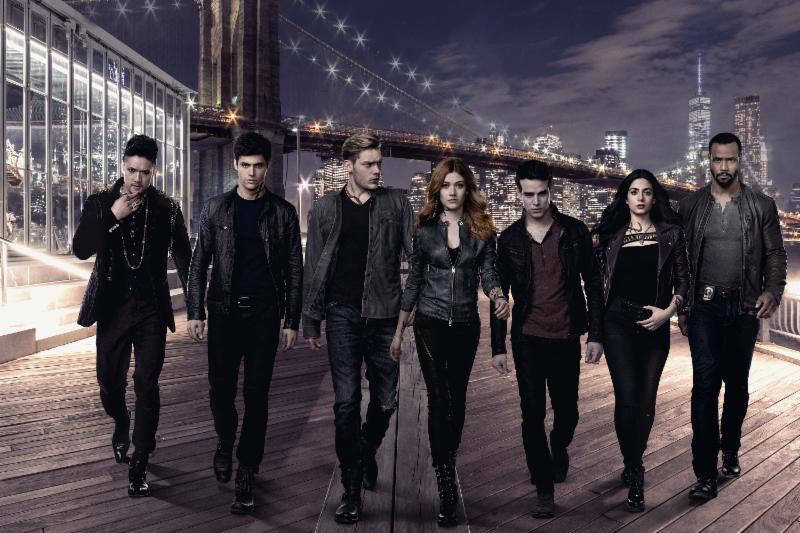 So buckle up, Shadowhunters fans! The conclusion of season two sounds like it's going to be a thrilling ride!